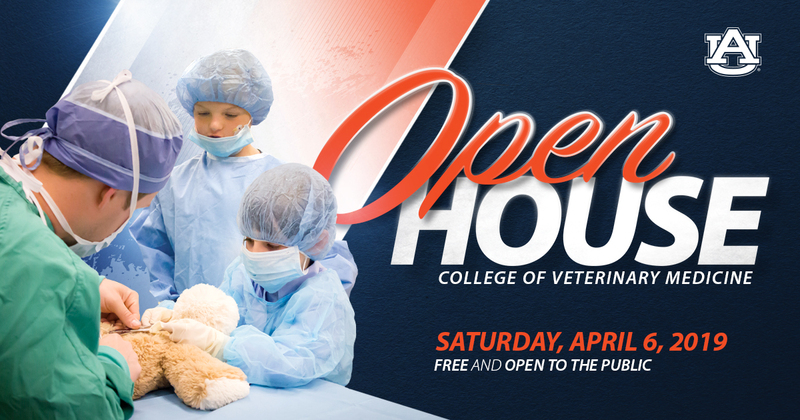 The College of Veterinary Medicine will open its doors to the public during Open House, an event-filled educational day set for Saturday, April 6. Organized and conducted by veterinary students and staff volunteers, the more than 30-year tradition showcases the variety of educational opportunities offered through the veterinary medical profession. The free event, which has something for all ages, is from 8:30 a.m. until 2 p.m. on the College of Veterinary Medicine campus, at 1130 Wire Road. Visitors can take self-guided tours through the Wilford and Kate Bailey Small Animal Teaching Hospital where veterinary technicians and students will answer questions and explain various veterinary medicine exhibits on display; see and learn about a variety of animals; view exhibits from student groups; and take part in several hands-on activities. This year, an app has been created so attendees can learn more and find their way to specific activities during Open House. Download the app. Food trucks will provide lunch and snacks for purchase in front of the Veterinary Education Center. Members of the incoming Class of 2023 and their families are invited to meet in room 101 of the Veterinary Education Center at 9 a.m. for an orientation with staff from the Office of Academic Affairs. Prospective students who have an interest in veterinary medicine will have the opportunity to attend a presentation to learn more about the veterinary medical profession, including career opportunities and admission requirements. The presentation is open to the public, and will be held at 10:30 a.m. in Overton Auditorium in the Veterinary Education Center. The Auburn University College of Veterinary Medicine is the South’s original and nation’s seventh oldest veterinary medical program, celebrating 126 years. The college prepares individuals for careers of excellence in veterinary medicine, including private and public practice, industrial medicine, academics, and research. The college provides programs of instruction, research, outreach, and service that are in the best interests of the citizens of the state of Alabama, the region, the nation, and the world.